Square drive sockets, SAE from Apex® Fastener Tools formally Cooper Tools. 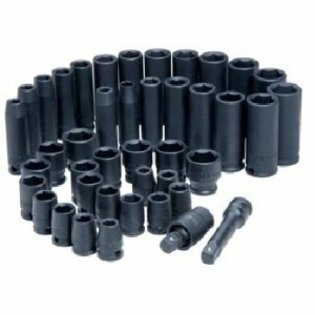 Apex® industrial grade impact sockets are available in a variety of lengths, a wide range of hex or square opening sizes and with single or double hex or square openings. High strength fasteners in demanding situations, like those found in the automotive and aviation industries, often require the use of an impact wrench or impact driver to deliver the amount of torque required to tighten or loosen them. 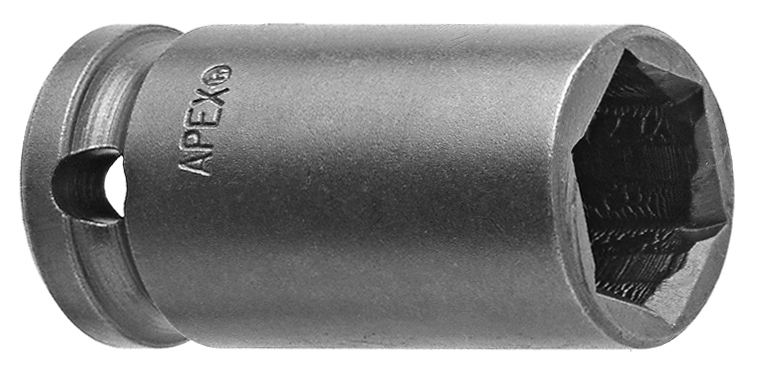 Apex® impact sockets are specifically designed and manufactured for high impact use, and made from a tougher and more ductile alloy steel which is then heat treated for extra durability. 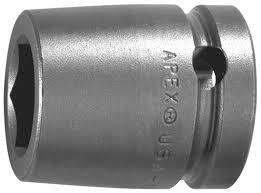 Apex® impact sockets are heavy duty sockets for use with air or electric power impact tools. Apex® impact sockets are designed to stand up to the extreme stress of these tools and can be used in combination with special impact accessories such as extensions, universal joints, and adapters. Standard sockets are not equipped to handle the high torque of an impact wrench due in part to the materials used to make them. Standard sockets are usually made from chrome, which is a fairly soft metal alloy and can split and shatter when exposed to excessive vibration. Apex® impact sockets are designed to handle the torque and flexibility of these conditions without the product failing or shattering.